This is an original oil painting on wood that was cut and carved by the artist. 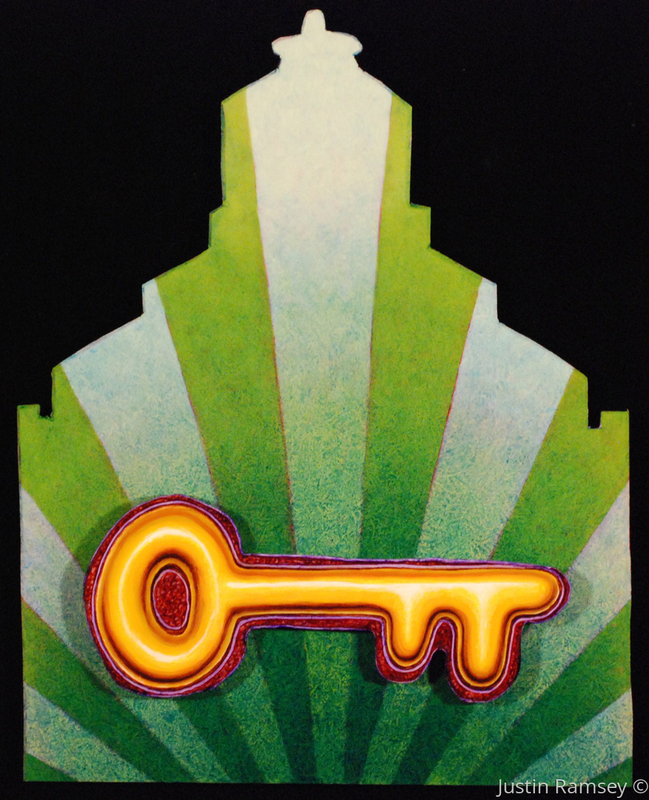 It depicts a silhouette of the Asheville, NC City Building, a beautiful piece of architecture. The key is a separate piece of wood floated about one inch from the surface.